The brand new Meisterstück Wallet 6cc is characterized by an original combination of black classic Meisterstück leather outside and light blue vegetable-tanned leather inside. It boasts numerous slots for cards and bills inside a practical interior: 6 pockets for credit cards, 2 compartments for bills and 2 additional pockets. Thanks to its compact dimensions it easily fits into most pockets and with its unique mix of materials and colors provides a new sartorial flair to the classic wallet. 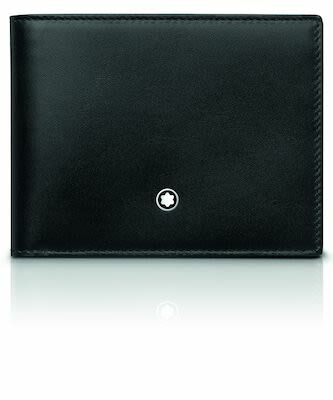 Interior organisation: 6 pockets for credit cards, 2 compartments for cash, 2 additional pockets. 11x8.5 cm.